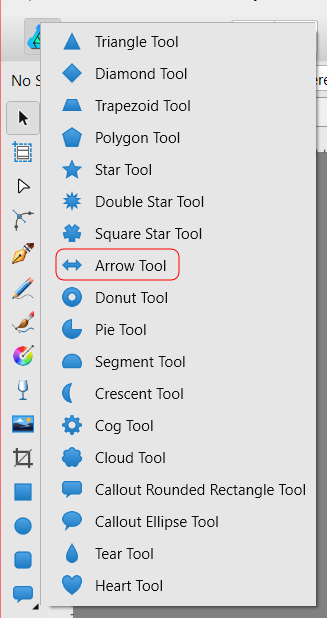 It’s inside all of the shape tools, among the triangle, the cog, etc. It creates excellent horizontal arrows but funny vertical ones. The vertical arrows seem to narrow at both ends. Is this normal? What I can do is create a horizontal arrow and then rotate it by 90 degrees. You can also use "Convert to curves" which lets you change the individual nodes with the "Node" tool. Also take a look at the context toolbar for the arrow tool. 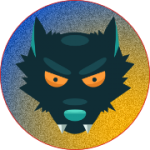 I experimented a little with it and it gives fine control over the arrow. What puzzles me is that you can draw vertical arrows. Maybe you are using the 1.7 beta but I can only draw horizontal arrows in the 1.6.x version. Can you tell me how you can draw vertical arrows? Thank you very much. What puzzles me is that you can draw vertical arrows. Maybe you are using the 1.7 beta but I can only draw horizontal arrows in the 1.6.x version. Can you tell me how you can draw vertical arrows? Good question. I, too, can only get horizontal arrows, regardless of which version of Designer I use. I thought I was drawing a vertical arrow but now I know better, I have just tried it again and when you click and drag vertically you get nothing. When you drag up slightly off the vertical you get the shape on the right which I thought was the strange arrow. I clicked the right hand handle and dragged it right and got the diamond shape. I dragged it further and got the horizontal arrow. I got the shape on the right by selecting it and dragging the rotation handle. I do think vertical arrows should be easier to create than this.